A big bowl of pasta is hard to refuse, but it's sometimes harder to stop yourself from feeling any post-meal regrets: the meal was too heavy, too lacking in veggies, too much. However, substituting the pasta for zoodles — a.k.a., zucchini noodles — provides the perfect solution for a lighter "pasta'" dish that is still full of flavor. 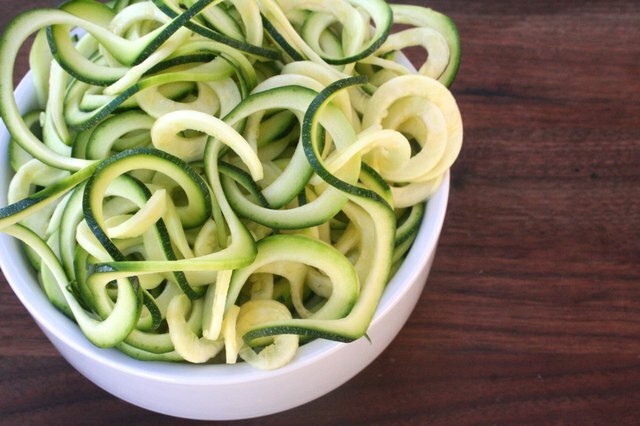 Crank the zucchini through a trendy spiralizer to create long shoestring "noodles," and then sauté the strands in hot olive oil. 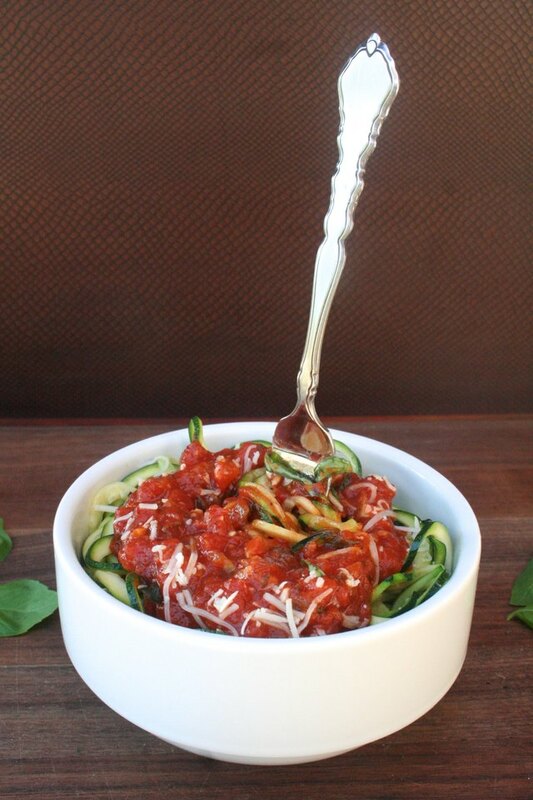 The slightly al dente zoodles, mixed with a thick and savory marinara sauce, is a scrumptious combination that you'll want to taste immediately. And when the bowl is empty, you'll simply feel satisfied. 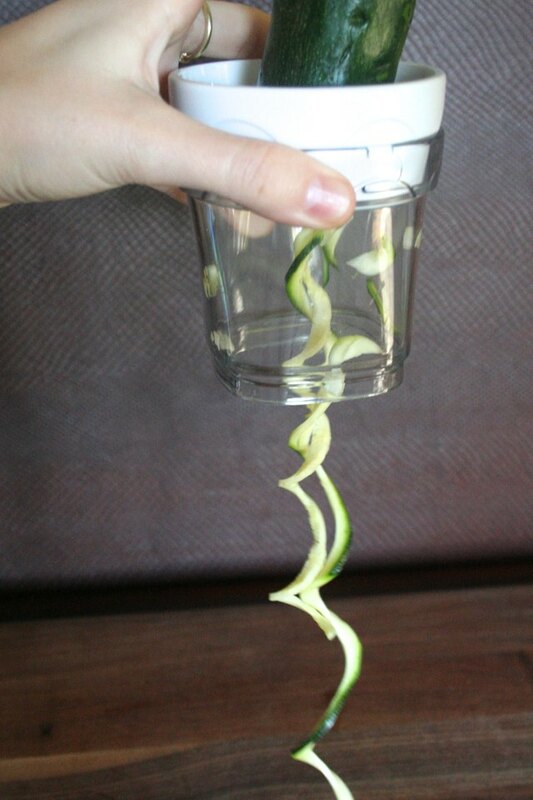 Using a spiralizer, create noodles out of the zucchini by twisting the vegetable with your hand on the top or middle part of the tool (depending on what kind you have). Repeat this process with the rest of the zucchini. 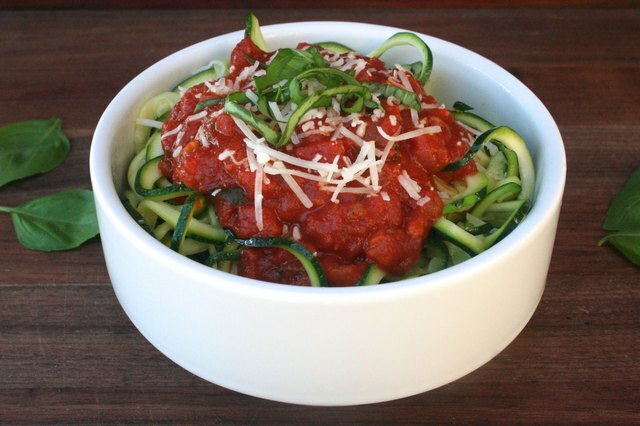 Place all of the zoodles in a bowl and set aside. Heat 2 tablespoons of olive oil in a medium saucepan over medium heat. Add diced onion and cook it until it's translucent and aromatic, or for about 3 to 4 minutes. 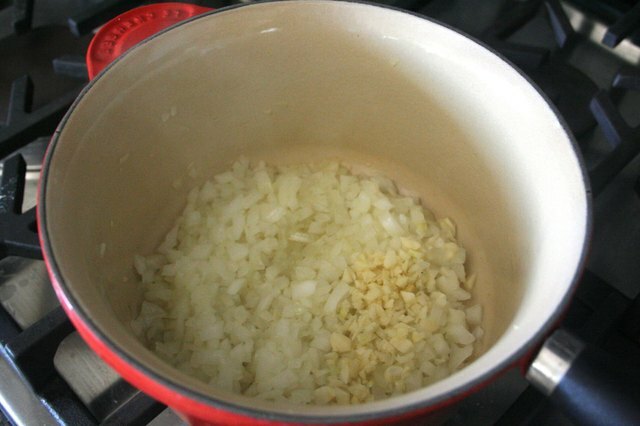 Next, add the minced garlic and cook an additional 1 to 2 minutes. Pour the cans of diced tomatoes, crushed tomatoes and 2 tablespoons of tomato paste into the pan and mix. Next, add the basil, parsley and oregano. Season the sauce with salt and pepper. Reduce the heat to a simmer and cook marinara sauce for an additional 30 to 45 minutes, until it's thickened. When the sauce is almost done cooking, heat a drizzle of olive oil in a medium or large sauté skillet. Once the oil is hot, add the zoodles and cook for 2 to 3 minutes, until they're slightly softened. Remove from heat immediately. Add the zoodles to the marinara sauce and toss together. 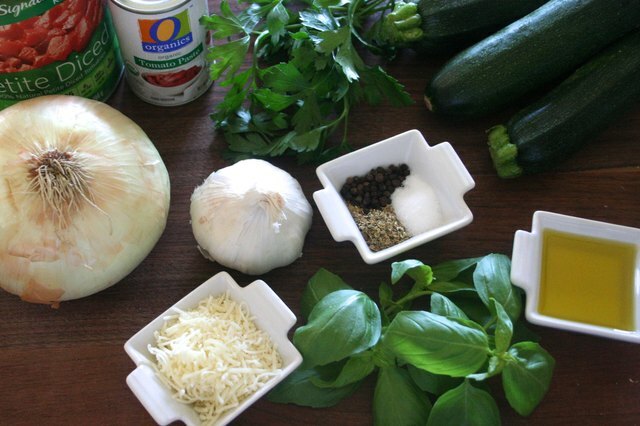 Serve the zoodles hot, and garnish with Parmesan and a pinch of basil. How to Make Simple Chicken Fettuccine Alfredo That Is to Die for!